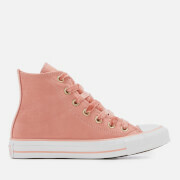 Women’s ‘Chuck Taylor All Star’ leather high top trainers from Converse. 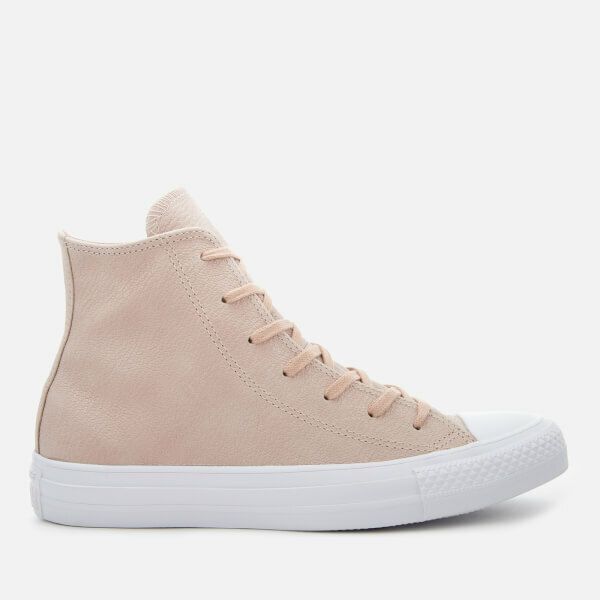 Crafted with beige grained leather uppers, the sneakers are detailed with a signature ‘All Star’ ankle patch and patterned grosgrain detail to the heel. 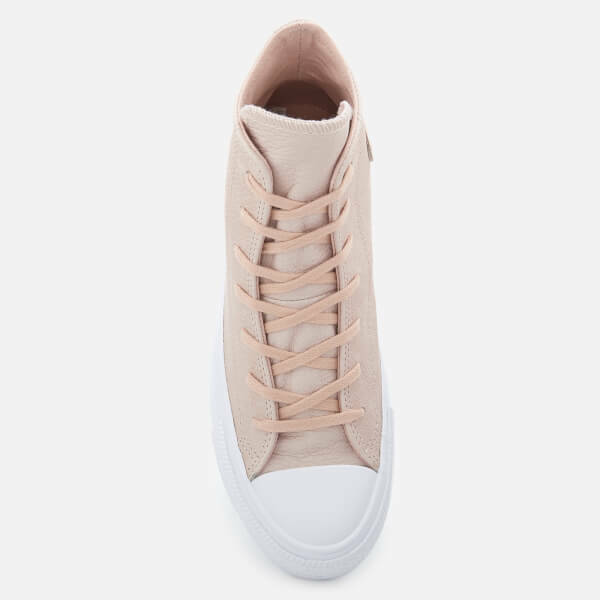 Set on a white rubber midsole, the trainers are detailed with a white rubber toe cap and a signature textured outsole for traction. 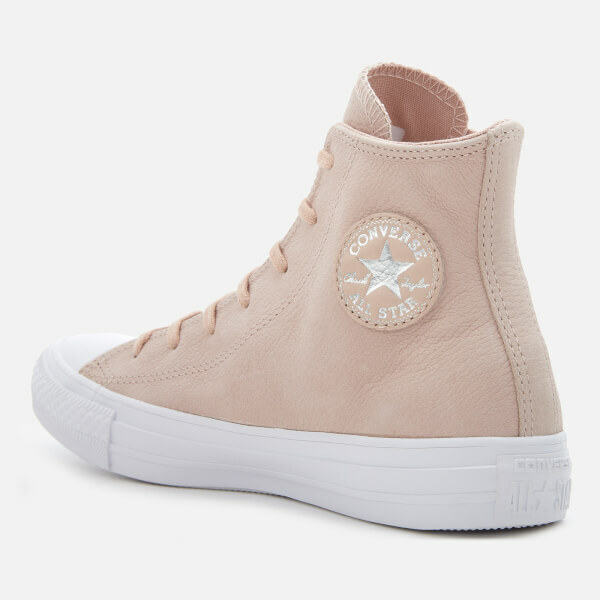 Complete with a logo licence plate on the heel, foxing to the front of the midsole and a textured outsole for added grip.